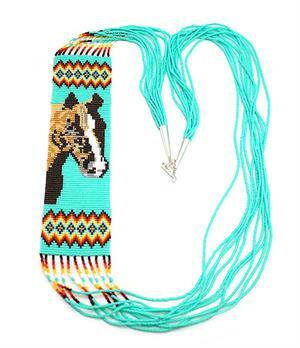 This seed bead necklace has 11 strands and a section of 39 rows that has the design of a horse head and native design. Necklace length is approximately 34" long including silver plated cones and hook and eye. Section of horse head design measures 6 1/2" long by 1 3/4" wide. It is Navajo hand crafted by Naomi Garcia. 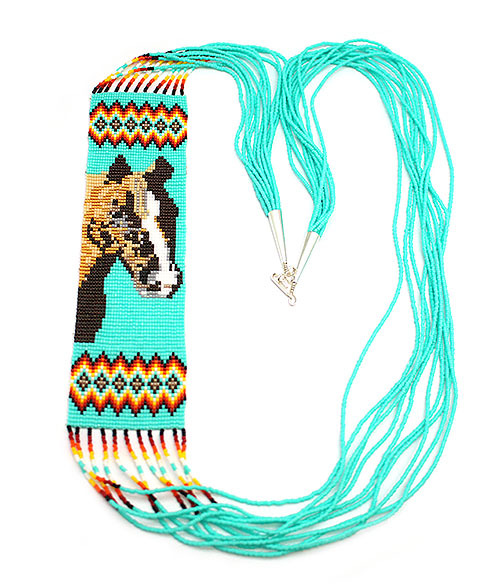 Only this one available and is in a green turquoise color.